Running legends, sporting celebrities and Laureus Ambassadors gathered in Johannesburg recently to mark the beginning of yet another Comrades Marathon, the world’s oldest ultra marathon race. Established in 1921, the 89 kilometre run between Durban and Pietermaritzburg tests physical endurance to the extreme and always brings out a sense of camaraderie among participants. 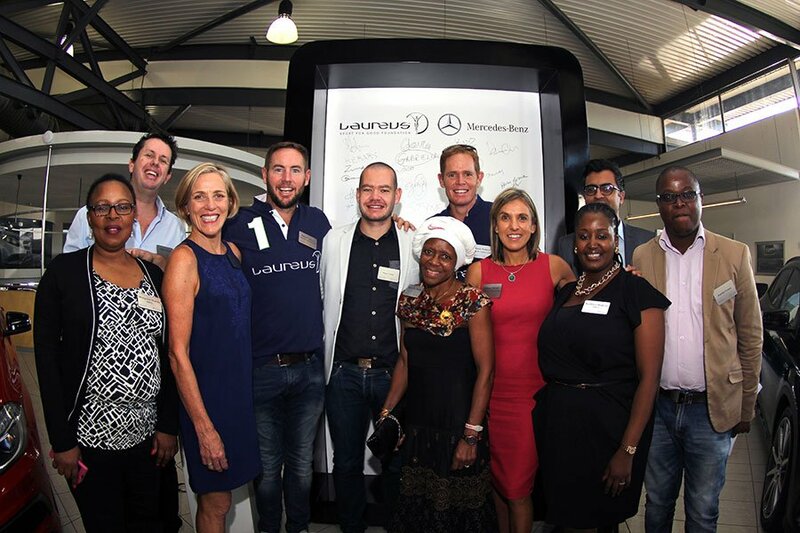 The breakfast, held at Mercedes-Benz Lifestyle Centre in Umhlanga, was the second of five events planned for this year to highlight the increased investment of Mercedes-Benz in Laureus SA. Mayur Bhana, Vice President of Corporate Affairs for Mercedes-Benz, explained that as an inspirational brand, they wanted to foster an environment in which young people could aspire towards positive lifestyles. The event was hosted by Mike Finch, the editor of Runners World magazine, South Africa. 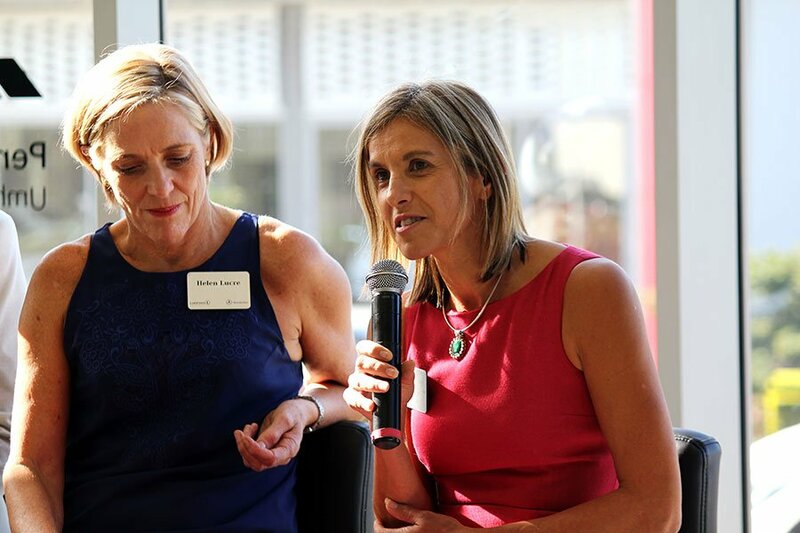 An inspirational panel discussion was held between three-times comrade champion Helen Lucre, running legend Elana Meyer, sports scientist Ross Tucker and Blanche Moila, the first African woman to be awarded Springbok colours, in which they discussed prospects for the marathon to be held that Sunday. 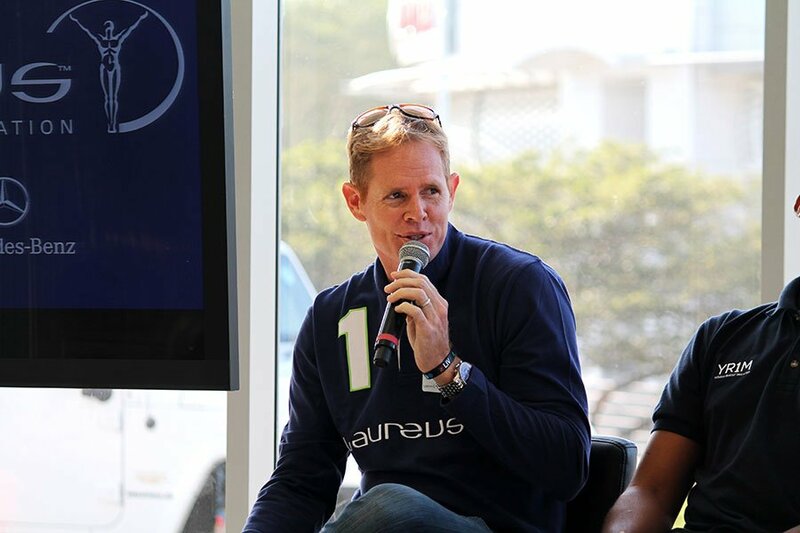 Laureus Ambassadors Shaun Pollack and Butch James added their voices to the importance of keeping at-risk youth focused on team sports. “It’s important to get the attention of kids at an early age through sport. This will keep them focused on something constructive, rather than destructive,” said Pollack. Butch James was supportive of this view. “Sport can play an important supporting role in those vulnerable gap years between school and university for 18 to 25-year-olds,” he said. Ten Laureus YES leaders from Durban also attended, part of a Laureus social investment programme funded by Mercedes-Benz. Two members, Zanele Mthembu and Nolathando Mswelly spoke on the panel and inspired the morning’s audience with stories of their work.